Do You Want to Multiply Your Church With Minimal Expense? Danny Cunningham specializes in helping churches do just that! He serves with the West Virginia Convention of Southern Baptists as the church planting catalyst for multi-housing. His work in the ministry includes helping churches to meet their ministry goals through church planting at local multi-housing sites. By developing a team from within the local church and then sending them into the multi-housing site to start a church, pastors are able to accomplish church growth goals with minimal expense. Due to the nature of the ministry the planting team can often continue attending the sponsoring church on Sundays and Wednesdays. In addition, Danny has passion and experience in mission work. He is the founder and president of 4 Him in Africa Ministries Inc., a non-profit corporation created to find sponsors who will pay the school fees for children attending Christian schools in Uganda. Danny leads two teams a year to Africa where they do pastor training, crusades, conferences and church planting. These pastors and churches located in the remote areas have many challenges including educating the children in their villages. The program provides the children with their books, uniforms, and one meal a day. 4 Him in Africa is an interdenominational ministry that is funded and supported by volunteers. 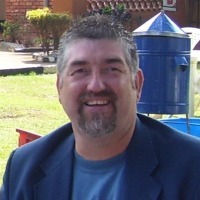 Danny would love to help your church get involved in short term missions to East Africa. Danny's 4:12 Network profile can give you all the information you need for contacting him and other ministry specialists to help your church or your ministry to succeed.